Time and health are two of our most valuable commodities, and yet, they are the ones that many of us find we are in short supply of. Time (or the lack there of) is one of the top reasons we start to abandon our commitment to fitness around this time every year. We put so much time and effort to nurture our families, our friends, and our career – but never stop to take the time for ourselves. For example, you wouldn’t hesitate to stay 20 minutes late after work to meet a deadline. You would be happy to take a 20-minute coffee break for a friend in need. But you continue to make excuses as to why you can’t take just 20 minutes a day for yourself. But if you don’t, all those whom you take care of now, might soon be taking care of you. If you haven’t been able to settle in to a regular workout routine because you simply don’t have the TIME – guess what? Twenty minutes is less than 2% of your day, but still plenty of time for a workout. But you might be thinking, “that’s not enough time to get a good workout in”. Don’t worry – we have just the solution for you. The PowerWave™ was created to provide all fitness levels with a comprehensive and adaptable training device that can be used ANYWHERE! These on-demand exercise videos take the guess work out of building a quick and effective workout. At the heart of the PowerWave is the Wave 20 program. This high intensity interval training (HIIT) workout features 20 rounds of functional movements that will unleash explosive core strength & physical endurance. Each metabolic workout is powered by customized music and timers specifically designed to drive maximum performance. Get the muscle strength you are looking for with the lean muscle gain to match! Beast-REPS™ pairs targeted upper or lower body strength training with built in timers to control total time under tension and repetition rate. The customized music and timers are synchronized with a metronome beep prompting you when to perform each rep. The challenge comes as you strive to maintain the rep rate as the muscles fatigue. Perform each rep with precision and control and KEEP UP! 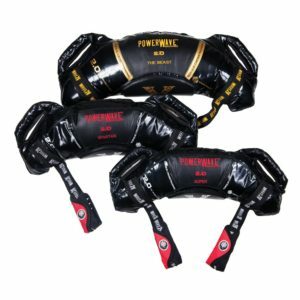 This is not your average sandbag – the PowerWave™ has unique features built in to help you maintain proper body alignment as you maximize caloric expenditure. What makes the PowerWave™ so unique? Keystone – Serves as the pivotal point of the PowerWave™ and provides the structural balance to facilitate proper posture and alignment during exercises. The majority of the weight of the PowerWave™ resides here, providing increased resistance and a greater level of centripetal force experienced during circular and swinging motions. Handles – Located on the spine of the PowerWave™, with anti-rip construction, the durable reinforced handles add thousands of possibilities for new and challenging exercises. 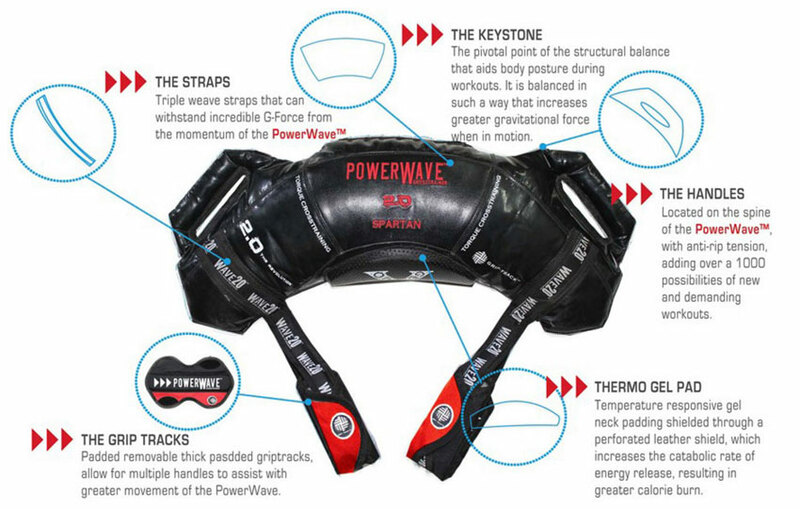 Straps – Heavy-duty, triple wave straps that withstand the G-force you create with the momentum of the PowerWave™. Thermo-Gel Pad – Temperature responsive gel pad shielded by perforated leather and helps maintain the catabolic rate of energy release for an increased calorie burn. Grip Tracks – Removable padded straps with thermo-gel allow for multiple grip positions that comfortably support the wrist. The SUPER – 15.4 lbs – Recommended for novice users at a beginning level of fitness. Use with the Wave 20 workout program to achieve muscular endurance along with a tone and lean body. The SPARTAN – 26.4 lbs – Recommended for intermediate users at a base level of fitness. Use with the Wave 20 workout to achieve muscular endurance and lean muscle tone. Use with the Beast-Reps program to develop muscular strength and definition. The BEAST – 44 lbs – Recommended for advanced uses at a level of fitness which requires a high output to achieve results. Use with the Beast-Reps workout to develop muscle strength and muscle mass gains. Twenty minutes a day with a PowerWave™ is all it takes to achieve health benefits and reach your fitness goals all while you maximize your workout time. 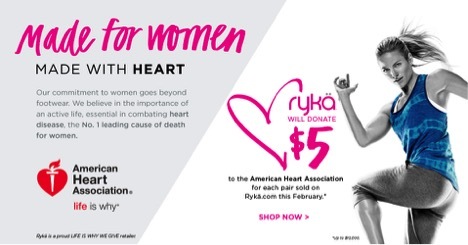 Ryka knows that a woman’s foot shape, muscle movement and skeletal structure are all inherently different from a man’s. 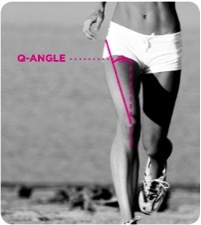 The “Q-angle” (quadricep angle) – the anatomical relationship between the hip and knee – measures 5 to 7 degrees greater for women than men. As a result, women tend to shift more weight to the outside of their feet, which leads to over-pronation, instability at foot strike and higher risk of injury. All Ryka sneakers, including Ryka walking shoes, are designed and developed taking into account a woman’s unique fit needs. Our design philosophy integrates all our technologies into one of the most researched, women-specific designs in the industry. This complete footwear solution fits the shape of a woman’s foot perfectly with a narrower heel, roomier forefoot, increased instep volume and a more secure foot bed. The result is a high-performance, athletic shoe engineered to address the unique biomechanics of active women for unsurpassed fit, comfort, cushioning and control. Come to any of the 2017 MANIA® Conferences and try them on for yourself! www.scwfit.com/MANIA. Check out the Ryka® booth at a MANIA® near you! Loaded movement is beneficial to balance and health and provides access to true core in so many ways. In Jungshin, we use light loads, levers and Aka-aerodynamically cut swords to aid in the body’s natural ability to move gracefully while challenging both our physical and mental limits. The difference between a heavy-weighted loaded object vs. a light-weighted loaded object and how the body moves is directly related and affected by the breath. In Jungshin, each strike and stance is directed by and synchronized with the breath. Come slice with us and find out for yourself just how critical the breath is in moving with ease and power with levers. You are worth it. Annika Kahn is the founder and creator of Jungshin Fitness®, a sword-focused fitness workout based upon multi-directional momentum training. She is an international presenter and has an extensive background in athletic conditioning and sports performance. Her training in the Korean Martial Art of Kuk Sool Won has awarded her four world grand champions and the rank of fourth-degree black belt. The Jungshin Fitness® workout has been featured on ABC, NBC and FOX News and in Shape, Martha Stewart’s Whole Living and Prevention magazines. Most recently, Annika has been developing and implementing Instructor Training Programs worldwide and leading corporate team-building events. Some of her clients include Google, Sales Force and The Hatch Agency. Her clients comment that her programs and classes are playful and accessible while being challenging and transformative., Annika has the capacity to meet you where you are at regardless of age or fitness ability. Annika holds an MA in the Psychology of Movement, lives in San Francisco and is passionate about the body/mind connection, which she integrates into every workout. You will enjoy her classes as she blends humor with ninja strength. The Jungshin Fitness® story began with the physical, mental and emotional evolution of its founder, Annika Kahn. From a very early age, Annika found sanctuary in exercise and solace in the refuge that intense and focused training brought from her challenging upbringing. Using movement as a form of meditation, she increased her strength and power to complement her mental preparation. An accomplished competitive athlete, she recognized and harnessed the power of the critical mind/body connection to earn national and world championship rankings in the sports of swimming, tennis, rowing and running. After a life-altering car accident, Annika shifted her focus and began her journey in the Korean Martial Art of Kuk Sool Won, which is a practice that integrates a spectrum of Asian fighting arts, weapons training, physical conditioning and mental development. For the next decade, she dedicated herself to the art, training up to six hours a day and achieving a fourth-degree black belt. At the peak of her physical achievements, she exercised speed and self-discipline, experiencing a heightened amount of natural energy and a true passion for life. With her body and mind in need of healing, Annika once again looked toward her lifelong practice of physical training and mental focus to overcome adversity. Initially she picked up the sword as a tool to help strengthen the muscles supporting her spine. She began developing simple strikes and stances with coordination and intent to strengthen the muscles supporting her injured spine. As she grew stronger, the sword grew to become more than a weighted tool to gain strength or an implement of force. The sword became an extension of her body, and its rhythmic use had a focusing, meditative effect enabling a Focused Mind. Jungshin became a warrior workout that transforms both mind and body through attitude and approach. Beyond her personal journey back to health, Annika recognized that anyone can benefit from the integration of martial arts with modern conditioning that is Jungshin Fitness®. The sequencing of stances, strikes, slices and flows using the organic, weighted lever of the wooden sword resulted in an authentic movement system that brings out warrior attributes in everyone. Participants realize the powerful benefits of exercise with a relaxed and focused mind through a dynamic, full-body rotational workout leaving them empowered and revitalized. Jungshin Fitness® is destined to help individuals transform their bodies and minds. It is rapidly gaining in popularity as Annika teaches classes and shares the Jungshin philosophy with master trainers across the U.S. and internationally creating a fitness movement that encourages passion and motivation that is inclusive of everyone regardless of fitness ability. Jungshin Fitness® is cultivating a global community of noble warriors, empowered and confident, who embrace the power of their mind/body connection to lead heathy, balanced and fulfilled lives. 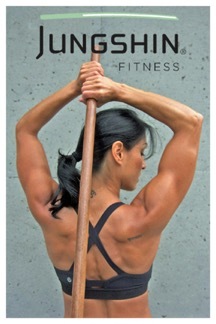 To learn more about realizing your personal warrior attributes, reach out to Annika at info@jungshinfitness.com. The Masala Bhangra Global Vision for the Future: Empowering a Lifelong way of being through Indian dance and music. Our mission is to promote, empower and inspire a permanent healthy lifestyle. Masala Bhangra® is a lifestyle program where the Dhol Drum beats meets the glamour of Bollywood. With easy to follow choreography, participants are encouraged to move, touch and inspire! People of all ages are nurtured in changing their lives, empowering their minds and strengthening their bodies through the power of expressing themselves with movement. Masala Bhangra® is an Indian dance-based program designed for people of all ages and fitness levels who love to stay physically active. Masala Bhangra® is an SCW, ACE, AFAA and AFLCA approved program. Specifically, it introduces high-energy Bhangra and Bollywood dance movements in an easy-to-follow fitness format, and it is a mechanism by which thousands of people have been moved, touched and inspired to become physically active. With the dance choreography directly influenced by the music and dance of modern Bhangra and Bollywood styles, Masala Bhangra is a fresh and exciting addition to the world of fitness and dance. Creator Sarina Jain has devoted her life to fitness after losing her father at a young age to a massive cardiac arrest. He was only 47 years old. 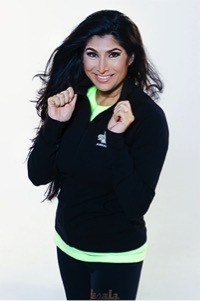 Growing up surrounded by her family’s Indian culture, Sarina Jain envisioned the unity of both her passions, culture and fitness, and was inspired to successfully introduce Indian dance (Bhangra and Bollywood) to the fitness world at a global level. She has been in the fitness industry for the past 23 years and is recognized as a fitness personality. Come and try Masala Bhangra® at our inaugural NYC MANIA®, and meet Sarin Jain in her own town! Experience any or all of the below sessions, LIVE! With the creator herself! Masala Bhangra®: Spice It Up! To learn more about Masala Bhangra® at NYC MANIA®, visit www.scwfit.com/NYC. SCW Fitness Education is a nationally recognized certification organization that has trained over 100,000 Fitness Professionals. Our certifications are recognized by fitness facilities across the U.S. and internationally. The SCW Fitness Education Certifications are both general and specific in orientation and span from Group Ex, PT, Yoga, Barre, Dance and Pilates to Aqua, Nutrition, Weight Management, Active Aging and more. Each course is developed and led by qualified, veteran trainers that have 20+ years of fitness experience. Theory, practice and application combine to credential our SCW professionals and prepare them for quality instruction at large, small and specialty facilities. Offered LIVE at each of the eight SCW MANIA® conventions and now available as Online Certifications! Every Online Certification offers a live course FREE within one year! Please click here to see all upcoming live SCW certifications. We continuously update the website with new locations, so check back often. Be a part of something bigger than yourself – become SCW Certified! Create your very own Custom 32-Count Fitness Mixes! Simply put, ClickMix is custom music mixing made easy. It is primarily intended for use by fitness professionals who need 32-count music, but anyone can use it to make mixes. You can create your own custom mixes from a choice of thousands of single 32-count tracks, or browse the mixes made by other members and burn them to CD to use on the same day you buy them. Creating your own mix is easy. All you have to do is choose which tracks you want and then our automatic mixing system does the rest. Once the mix is completed, it is then downloaded to your computer so you can burn it to CD or transfer it to an iPod. Creating your own mix takes no time at all. The system is designed to make finding tracks and creating a mix as quick and easy as possible, but spend as much time as you like browsing and selecting tracks. Once you have made your purchase, your tracks will usually be completely mixed and ready for download in just a couple of minutes! The best thing is that you only pay for the tracks you use, and the mixing and burning software is included for free. But here is the best part… Once you purchase a track, it goes into your library, and you can use the tracks again for free in other mixes up to 3 times. As you create mixes and build up your library, you will find that by reusing tracks, you can build a whole collection of mixes for less than buying traditional pre-mixed CDs! We think this is a terrific value when you compare the cost of a ClickMix to a traditional fitness CD, where you will typically get 12 tracks for $22 to $30. A 12 track ClickMix is only $23.88, and you get to re-use the songs! Check out all the Power Music sessions at a MANIA® near you! Learn even more about how to be your healthiest you in the kitchen with Bruce and Mindy LIVE at MANIA®, www.scwfit.com/mania. Also, check out www.bruceandmindy.com!